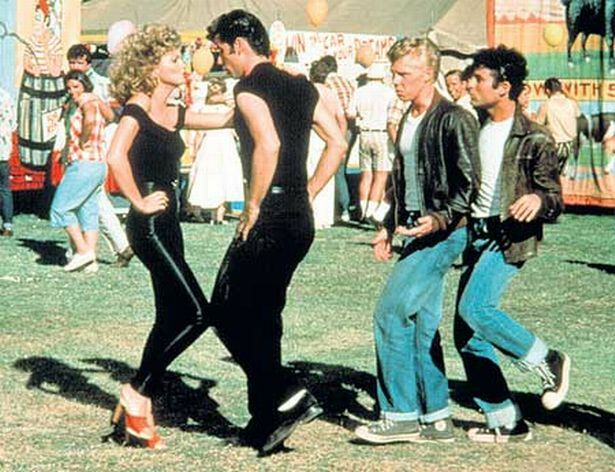 It’s been 30 years since she hit our screens in Grease wearing those impossibly tiny black trousers but Olivia Newton-John seems to have barely changed. In recent years she’s had a string of personal blows, including cancer, divorce, the disappearance of her partner and her daughter’s anorexia. so young-looking is simple – her recent marriage. “I guess I’m lucky,” she smiles. “Genetically, I’m like my mum and she looked great right up until her death in 1989. Olivia married health guru John Easterling, 56, in June this year in a mountain-top ceremony in Peru. They met 15 years ago through mutual friends. Olivia’s dog had just had puppies and she gave one to John. Then, two years ago, he turned up at one of her shows and brought the dog, who’s now 13 and called Sherlock. Sherlock also plays a part in helping Olivia stay young and fit, as taking him for walks around their Florida neighbourhood is part of her daily fitness regime. “I try to do something each day that involves getting out in nature,” says Olivia. “Walking Sherlock is perfect. I play tennis and go to the gym three or four times a week, too. I feel great and certainly don’t worry about being 60. It’s just a number. There’s no denying the star still has an enviable figure but could she get into Sandy’s skin-tight black trousers now? Olivia, who likes to describe herself as a “thriver” rather than a survivor, has been through a succession of ordeals since her breast cancer in 1992. “In those days it was still known as the ‘Big C’ and I was very scared,” she says. “I found the lump when I was checking myself. got my doctor to do further tests. Olivia’s father died the same weekend she was diagnosed and her 11-year marriage to actor Matt Lattanzi, which was already crumbling, fell apart soon afterwards. She later fell in love with cameraman Patrick McDermott but three years ago he disappeared after a fishing trip off the Californian coast. There was no evidence of an accident and it emerged he had massive debts, prompting stories that he’d faked his death. Olivia eventually had to admit he was never coming home. Then last year, her 22-year-old daughter Chloe, a singer and actress, developed anorexia, from which she has now recovered. She adds: “Grease changed my life in the most amazing way and I’ve had such an amazing life. When things go wrong you’ve got to believe you will get through them and focus on the positive things in your life. “I’ve had bad moments of depression but I’ve always reminded myself I have a lot to be grateful for. Counselling and therapy helped her through the tough times. “For the first five years I worried about the cancer coming back but not any more,” she says. “I don’t allow myself that thought. “I believe a positive outlook affects you physically and research has shown that patients with a positive outlook do better. Marrying John has certainly given Olivia a new lease of life. Despite playing a country and western-singing lesbian in a US TV show recently and continuing to perform live and release albums, Olivia has scaled back her singing and acting. Instead, her focus is on health-related projects. Most importantly, she is promoting Liv-Aid, a gadget she designed to help women self-check their breasts and detect early changes. Its name comes from her nickname, Liv. She is also raising money to open a cancer and wellness centre where she grew up in Melbourne, Australia, and she recently walked 142 miles along the Great Wall of China with celebrity friends Sir Cliff Richard and Dannii Minogue to raise funds. She is also helping husband John in his business, producing herbal health and beauty products that support inhabitants of the Amazon rainforest. Even her birthday celebrations in September had a healthy theme. She invited friends and family to her Gaia Spa retreat in Byron Bay, Australia, for three days of pampering massages and dancing at sunset. Unlike many stars of her generation, she is not a fan of cosmetic surgery. She says her real secret weapon is swallowing “handfuls” of herbal supplements every morning and slapping on lots of face creams made from natural, rainforest ingredients. Well, whatever she’s doing, it certainly seems to be working. – Get outdoors and exercise every day. – Do a variety of activities you enjoy. – Talk to friends and family. Laughter and sharing experiences is healing. – Enjoy your food and have treats but don’t overeat. – Have a cat-nap if your energy dips in the afternoon. – Embrace new challenges and think positive. – Keep a natural look – less is more as you age.